Pretty food always tastes better, right!? 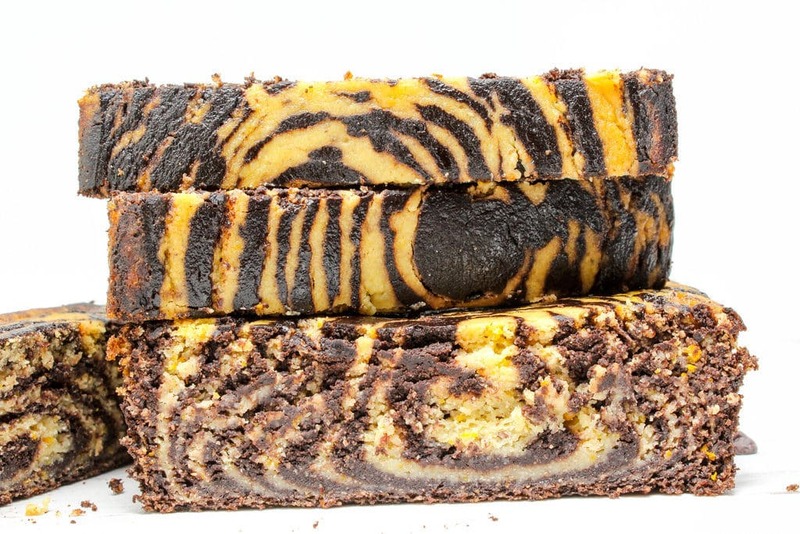 Well, this chocolate orange marble loaf cake fits into both those categories – pretty AND tasty! Anyone else obsessed with watching baking videos on YouTube? 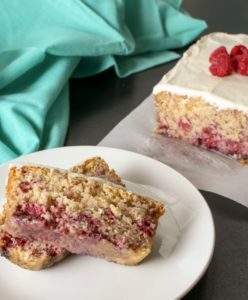 Besides getting great ideas for desserts to healthy hack-ify, I’ve also learned that some really fancy looking desserts aren’t actually that hard to make. Swirly, marbled cakes being one of those things. They’re SUPER fancy looking, but actually really easy to do. 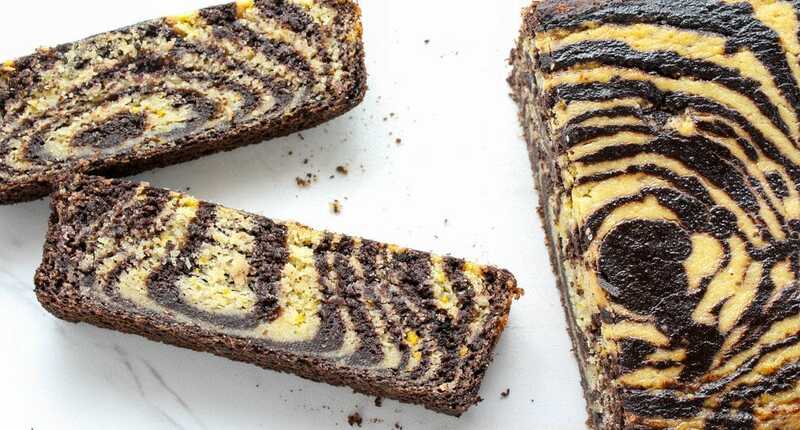 The marbled pattern is made by alternating dollops of the chocolate and orange batters on top of each other. When one glob (that’s a technical baking term, btw 😉 ) of batter gets placed on the other, it helps spread the first glob out. And, in the end you’re left with beautiful swirls that look like you have spent hours laboring over. Who knew it was that easy!? But, what’s a pretty loaf cake without some delicious flavor? A decoration, I guess?? Well, that is not this loaf! Chocolate and orange make the perfect combo for anyone’s taste buds. You’ve got sweet and citrusy perfection. And if you’re skeptical about chocolate and orange together, even my family members who aren’t big fans of the two together loved this loaf! 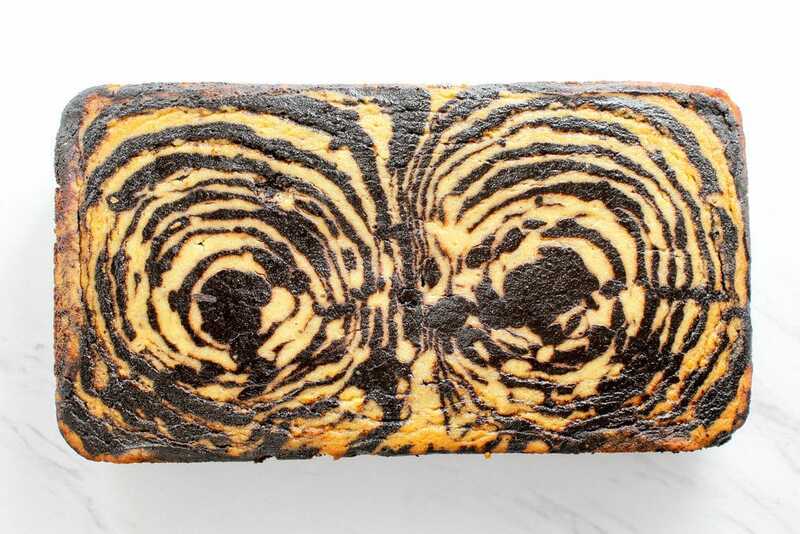 But, to top it all off, we can’t forget that this chocolate orange marble loaf cake is actually full of nutrition! It’s low in sugar and full of antioxidants, protein, and whole grains. One of the whole grain contributors is millet flour, which I recently come across. Like I said, it’s full of whole grains and fiber, but also gluten free, which makes it a great option for anyone on a gluten free diet. But, it also gives the loaf a light, airy texture, which means that even if you’re not gluten free, you’ll love this loaf’s texture! It’s kind of like fruit cake got a chocolate-y makeover! Also perfect for the holidays, if you ask me. Preheat the oven to 350 F and grease a 9" X 5" loaf pan. In a small bowl, mix the flaxseed and 1/4 cup water together and set aside to thicken. In a large bowl, whisk together the flours, protein powder, cornstarch, sweetener, baking soda and powder, and salt. Make a well in the center of the dry ingredients. Add to the well the milk, 1/2 cup water, oil, vanilla extract, and thickened flaxseed mixture. Stir together just until incorporated. In a second large bowl, add a little less than half of the batter. Zest 1 large orange (be sure to wash it first), then juice the orange. Add the zest, juice, and 1/4 cup water to the first bowl (that has a little more than half the batter). Stir well to combine. To the second bowl (that has a little less than half the batter), add the cocoa and 1/2 cup water. Stir well to combine. 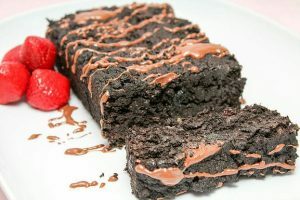 Using a separate spoon for each batter, and starting with the chocolate batter, spoon 2 large spoonful's of batter into the center of the loaf pan. You want it to be a blob of batter, and not spread it out yourself. The batter is thin, so it will begin to spread on its own. Then, spoon 2 large spoonful's of the orange batter into the center of the chocolate batter you just placed in the pan. Continue alternating the batters on top of each other. They will continue to spread out and the marbled pattern will begin to form. Bake for 45 min. or until the edges darken and are firm to the touch. The center should be springy when touched and a toothpick inserted into the center should come out clean. Allow the loaf to cool slightly in the pan (about 30 min. ), then transfer it to a wire cooling rack to cool completely. 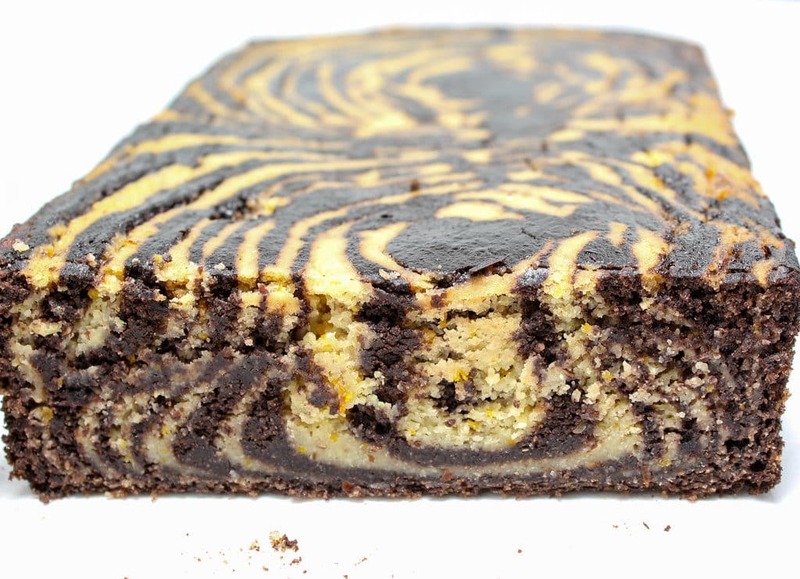 Slice it up and impress all your friends with this swirly, marbled beauty!